Venkata Minerals & Chemicals Pvt. 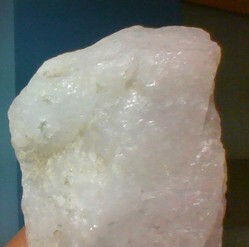 Ltd.
Semi quartz and super semi qurtz are avaliable. 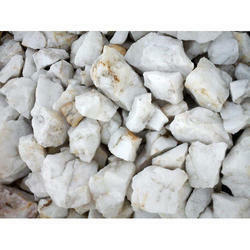 Mahi Mineral And Stone Pvt Ltd.
We are the one of foremost manufacturers and suppliers of Quartz Lumps. Used in array of applications across industries, we produce these quartz lumps in a very Eco-friendly and economical way. It’s a result of our latest technology laboratories and highly dedicated team of professional of this field. A mark of purity, these are available in snow white, milky white, super semi, semi forms. We are offering Super Semi Quartz Lump. Further we deliver our products in given time frame. These are available at reasonable prices in market. It’s a result of our latest technology laboratories and highly dedicated team of professional that we are producing and providing the finest qualityNatural Quartz Lumps that fall true on the mark of purity. We offer them in snow white, milky white, super semi, semi forms. We are a trusted name for providing different types of quartz lumps, which finds application in ceramic and other allied industries. These lumps are available in different particle size depending upon the requirement of customers.